First published in 1943, this book was the first historical fiction I ever read. And I absolutely loved it! I must have been in the 5th, 6th grade when this book crossed my path and I can’t recall how it did so. I remember it being a library book, though, so I’m thinking I must have browsed the shelves when this book jumped out at me. 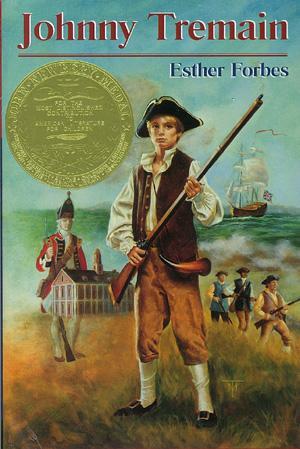 Plot: From what I remember, (because I’m doing this from memory since it is a throw back) it’s about the events leading up to the Revolutionary War from the perspective of a grade school boy, Johnny Tremain. Most memorable part: The reason this book sticks with me, even til this day, is the Boston Tea Party scene. Johnny is one of those who stole away onto the ship to dump the tea overboard. I remember my heart beating fast as I read through the scene and it was from that point on that I fell in love with history. I couldn’t help but think, what if I grew up in that time period? Would I be one of those people? What role would I play in the war? I just remember thinking about all those things while reading through this book. In fact, it was the inspiration of a couple of history reports I did in high school. I think I may have to pick this book up again to fill in the gaping holes of my memory. After all, it’s been almost twenty years since I read through it and it was during that period of time for me that I didn’t really reread books (that was a habit I picked up in adulthood). It’s a good read for those wanting action and adventure infused with history. It’s a children’s book so keep that in mind if you’re looking for a story with more depth.